He did his best, too, with an oddball moment. Interview Jorge Ramos, who has one of the best lisps on TV, asked Romney if he’d be the first Mexican president. George Romney was born in Mexico, after all! “I don’t think people would think I was being honest with them if I said I was Mexican-American,” said Romney. “I’d love to be able to convince people of that in a Florida primary!” Cue: Romneylaughter. 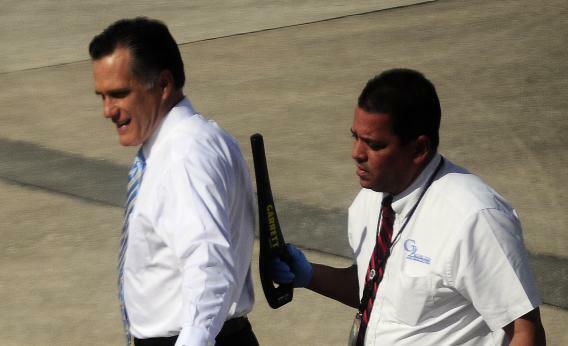 But is Romney actually eligible for Mexican citizenship? I don’t see it. According to Mexican law, which is incredibly generous, anyone born in Mexico is a citizen, if he wants it. Anyone born to a Mexican national, anywhere, is a citizen. But George Romney never became a Mexican citizen. Good luck with this one, birthers.